The Africa Technology Summit (ATS) is a two-day (November 3-4) convening of the leading corporate executives, entrepreneurs, investors and media who are shaping Africa’s tech ecosystem. All these major players will be explaining their Africa strategies, and sharing what’s next for them on the continent. Speakers include some of the biggest names in the tech and mobile space, including representatives from Google, Uber, Samsung, Vodacom and MTN, as well as a range of African entrepreneurs young and old. This African perspective on the flourishing African tech and startup landscape will be the must-see conference on the continent, about the continent. 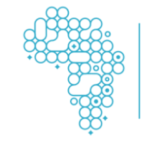 The Africa Technology Summit is organised by the Meltwater Entrepreneurial School of Technology (MEST), based in Accra, Ghana, and Stuff magazine, based in Johannesburg, South Africa. See the ATS website and get your tickets. Get a 30% discount by using discount code “ATS30”!